He appears to be quite honest, and he was willing to take on some small, odd work that we had to do. I appreciated that, because sometimes the contractors will blow you off when you have that kind of work. The fact that he answered the call promptly and came over, we needed to get something done quickly, and he managed to squeeze it in between other work and still get it done. The guys he had doing the work were quite competent. They're on time and very, very neat. He did it in the time that he said, he followed through, and he was very personable. When it comes to contractors, I have to say that he's perfect. Honesty, integrity, and there are no surprises. Everything happens the way it's supposed to happen. I think that's a great value. 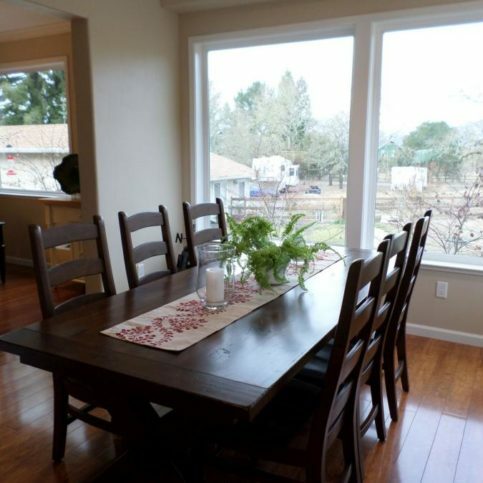 Thompson Construction provides a wide range of general construction and remodeling services for residential clients in Sonoma, Marin, and Lake Counties. In addition to remodeling kitchens, bathrooms and living spaces, the company has the capabilities to build room additions and exterior structures such as decks, patios, and pergolas. 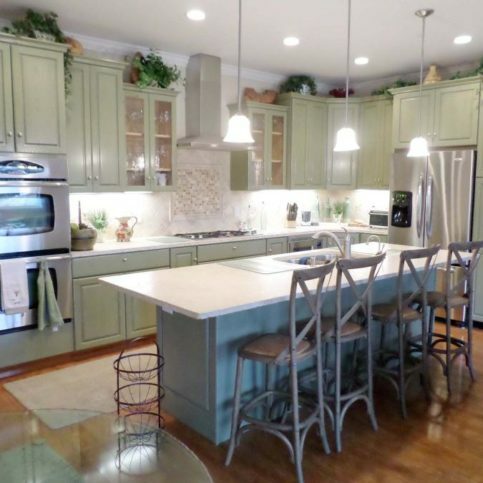 Thompson Construction recently completed this kitchen remodel. Q: How long is a typical workday? A: I usually start at 8am and work until about 4:30pm. I always try to be considerate, not only for my clients’ sake but for their neighbors as well. Before any job begins, I introduce myself to the neighbors on both sides of the house and let them know what I’ll be doing. Q: Do I need permits for my construction project? A: It depends on the nature of the job. If you’re staying within the confines of the existing floor space and not making structural changes, you typically won’t need to get permits. If you do need to get permits, I can handle that process for you. Q: Do you offer outdoor construction as well? A: Yes, I can handle exterior projects such as decks, shade covers, exterior painting and window replacements. Q: Can you help me choose things like paint and carpet? A: Yes. 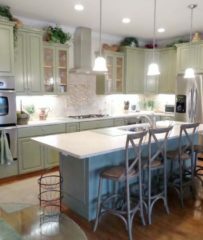 There are a few places in Santa Rosa that I work with for things like carpet, laminate, paint and countertops, and I can go with you and get it all picked out in one afternoon. Having those aspects laid out in advance will make your job go more smoothly. 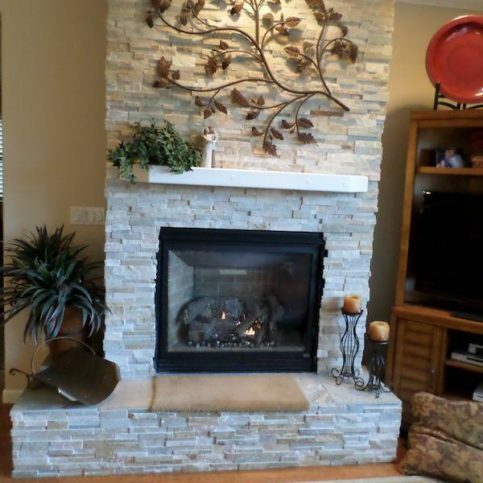 Thompson Construction recently installed this slate ledgestone fireplace. 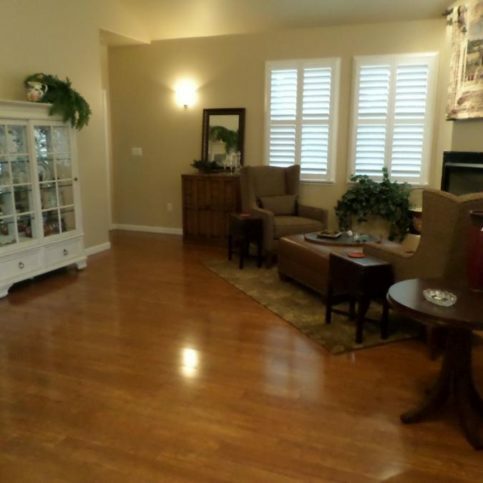 This living room had an exterior dormer window that was opened up and used as a skylight. Thompson Construction installed this extra wide door to make it easier for the homeowners to move large items in and out. 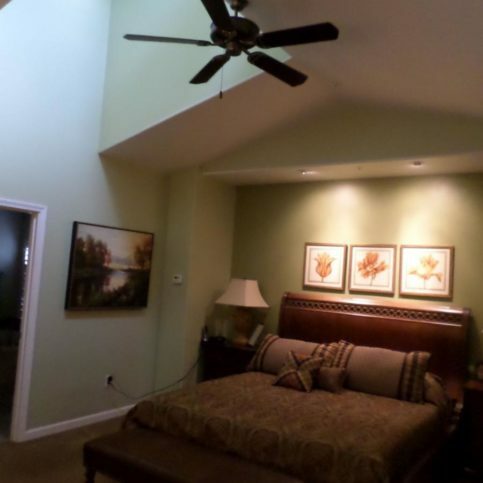 Thompson Construction used a dormer window to create a skylight effect in this bedroom. 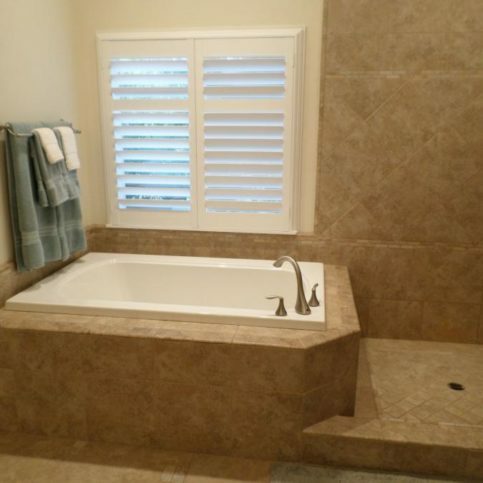 Thompson Construction placed inexpensive tiles in varied patterns to create an expensive custom look for this deep soak tub. 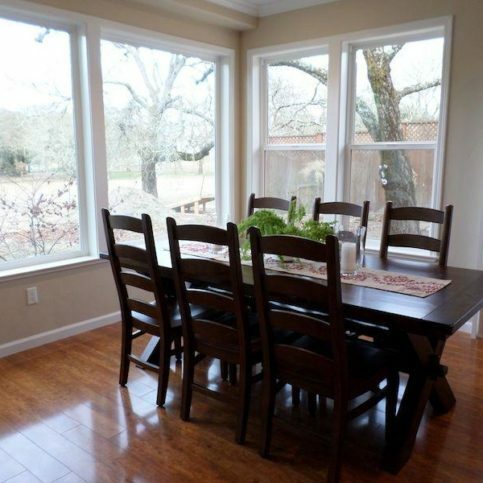 This dining room addition replaced a covered porch and brought natural sunlight into the dining room, kitchen, and living room. 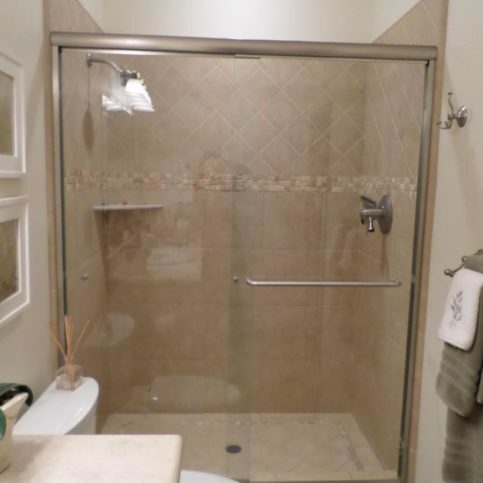 Thompson Construction used heavy 3/8-inch glass on this shower door to give a solid feel and reduce vibrations. Thompson Construction placed this shower’s controls at the opposite end of the shower head for maximum convenience. These limestone countertops have embedded fossils that diners can look at while they eat. Thompson Construction installed this cherry hardwood floor without a seam, which allowed for a smooth flow from room to room. 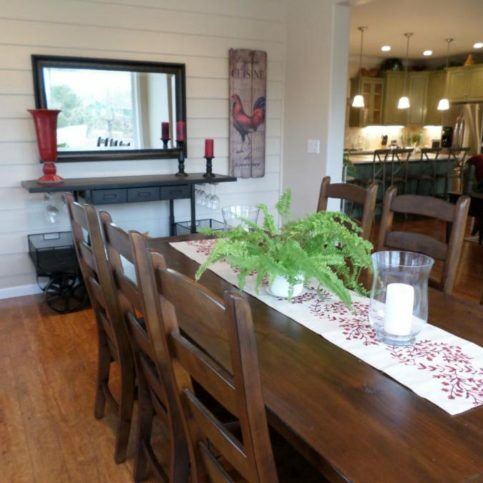 Thompson Construction installed this exterior siding accent wall to create a country feel for this home. Dennis Thompson is a 34-year veteran of the construction industry and owner of Thompson Construction, a Diamond Certified company. He can be reached at (707) 506-6915 or by email. Dennis’ local roots run deep on a professional level as well. More than 30 years since he began his construction career, he recounts how it all started: “I was working as a machinist with Hewlett-Packard in Santa Rosa, and I just got tired of all the oil in my hair! I had a friend in the construction business, so I took a two-week vacation and went to work with him just to see what it was like. I immediately fell in love with the trade, so I gave my notice and joined the local carpenters union.” After earning his journeyman status, Dennis continued to excel in the industry and eventually struck out on his own, founding Thompson Construction in 1985. Outside of work, Dennis devotes much of his time to being with family. “My wife, Brenda, and I both come from large families with a lot of traditions, and we all get together fairly often for holidays and birthdays, which is always a fun time.” In addition to large family gatherings, Dennis enjoys playing golf and attending baseball games with his three grown sons—Nicholas, Kyle and Chris—all of whom reside locally. A: Socorro’s Mexican Restaurant in Windsor. A: I wrestled, played football and ran track. A: Anything chocolate—it’s one of my few weaknesses. 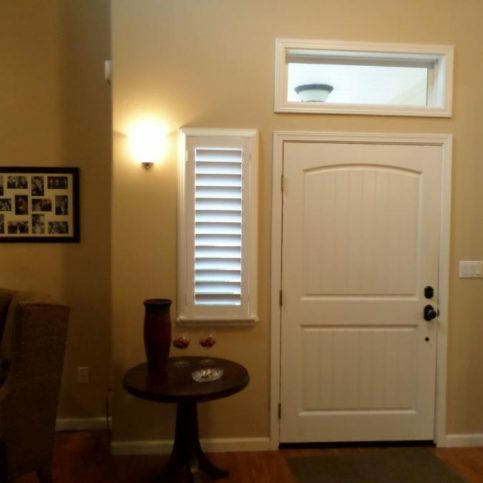 HEALDSBURG — If you have a door that frequently swings open or closed, you may think the only way to fix it is to completely remove and reset it. However, in many cases, this problem can be corrected with a quicker, easier solution. After closing the door, remove the pin from one of the hinges—use a hammer to tap the pin upward from below and then pull it out the top. Place the pin on a piece of wood or another hardy surface and use the hammer to give it a slight bend in the middle. Next, return the pin to its hinge. While this may seem ridiculously simple, it should create enough resistance to keep the door from swinging. Depending on the extent of the issue, you may have to repeat the step with two or even all three pins, but in most cases this should solve the problem. HEALDSBURG — Host, Sarah Rutan: If you have a door that swings even after you’ve opened or closed it, there is a solution to solve this problem. Today, we’re in Healdsburg with Diamond Certified Expert Contributor Dennis Thompson of Thompson Construction to learn his solution to a swinging door. Diamond Certified Expert Contributor, Dennis Thompson: Well, in some situations, people have doors that swing either closed or open when they don’t want them to, and it’s very frustrating. Of course, the, you know, the permanent way to fix that is to take the door out and reset it. But a real simple way, and in most cases will fix the problem, is this: You close the door, you take one of the pins out of the hinge by just tapping it up and removing it, put it on a piece of wood, and with a hammer, bend it in the middle. And you put it back in the hinge. And it creates enough resistance, in most cases, that will make the door stay closed or open. You may have to do both or all three hinges, depending on how much the door is swinging. But, typically, that will take care of your problem. Thompson Construction : Average 9.5 out of 10 based on 36 unique customer surveys of customer satisfaction. I would tell them to use them as they go the extra mile. They are very knowledgeable. I can't say enough good about them. I would give them a "12". I like their openness about pricing and cost. He does really good work and I find him easy to work with and they will be happy with the result. He is a very honorable person and he delivers on what he promises and he owns up to mistakes that he makes and he fixes them. They are trustworthy, on time, they clean up, and they are just nice guys. Just that they are easy to talk to and they follow through with what they are going to do. I would certainly get a bid from them and they are honest. They did a good job and they were on time and I would use them again if I needed them. He did what he said he would do and he did it on time and his cost was right. I would tell them to use them if they need them. He was very efficient, very quick, and very insightful. He did a complete job and he did everything that I expected him to do and he did it quickly. That he was willing to do a small job and do it well and cater to our needs and we appreciated his attention. I think Dennis himself was a very nice guy. I would say that quality is number one and you will not be disappointed. I would give them an "11". They are easy to work with, friendly people. They are down home folks, they take care of you, they make sure that you are happy, and they go above and beyond. I would tell them that they are very thorough and they stick to their plans. 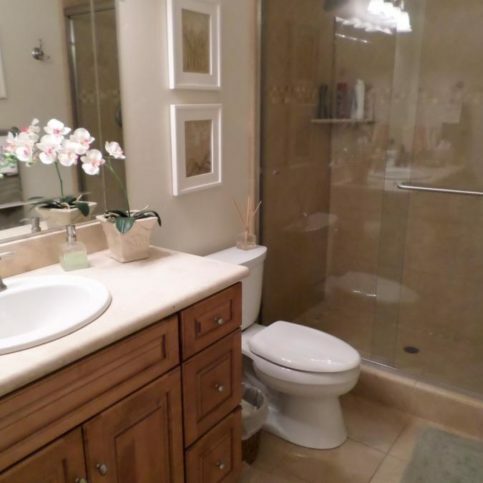 If any issues arise, they bring it to my attention and they took care of it and it didn't cost me any extra money and they cleaned up and they were polite and they were on time and they were good very good. Dennis is perfect in every other way, but he could use some better time-management skills. I liked everything about them. They're excellent people, and they do excellent work. He was friendly, and he did what he said he was going to do. He is on time, and he does excellent. He has good ideas, and he is friendly. Dennis is easy to work with, and he is a good listener. They did what they said they would do, they gave us a quote, and they did it for that quote. They cleaned up afterwards, and they did a good job. The quality of the work, they were good. He's a good guy to use. I would recommend them. He was very informative, and he kept us in the loop with what he was doing. He's very dependable, he does good work, and he knows what he's doing. His knowledge. It seems like there's no job he can't take on. He does a good job. He knows exactly what he's doing. He's more of a friend than a contractor now. I've recommended him to other people. He is very conscientious, he finishes the job, and he checks with you constantly. He works with you and gives you a lot of input. He was very trusting, and I liked the work. It was great. We were so happy. He did a good job. 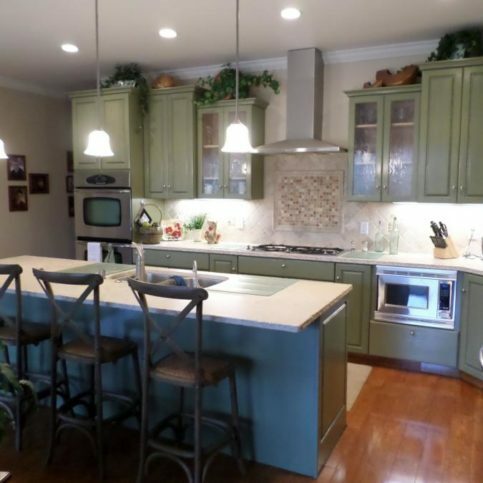 The fact that they consult with the homeowner to help us decide what it is that we need. They're reasonably priced. They're very personable, charming people.